Click HERE to fill out the 2014 SFDI Survey! We appreciate your feedback and take it seriously when considering how we may improve SFDI in the future. A critical mass of exciting artists who have been dancing everywhere but in the mainstream. Internationally celebrated dance artists and improvisers, Michael Schumacher, Kirstie Simson, Darrell Jones, Mark Haim, and musician Thomas Schumacher come together for a powerful evening of virtuosic improvisation. KIRSTIE SIMSON (UK), called “a force of nature” by The New York Times, is an award-winning dancer and teacher of contact improvisation and contemporary dance who has “immeasurably enriched and expanded the boundaries of New Dance” (Time Out, London). For the past 30 years, Kirstie has collaborated with dancers and musicians, including Steve Paxton, Nancy Stark Smith, Simone Forti, Julyen Hamilton, Michael Schumacher, Adam Benjamin, Russell Malliphant and Le Quan Ninh. ERIC BEAUCHESNE (CANADA) Born in Québec, Eric has danced with Les Grands Ballets Canadiens, Badisches Staatstheater Karlsruhe, Les Ballets Jazz de Montréal as well as with Canadian contemporary dance icons such as La Fondation Jean-Pierre Perrault, Paul-André Fortier, Louise Lecavalier and Crystal Pite. Performing with Kidd Pivot since 2004, Eric has also collaborated as rehearsal & staging director for Cullberg Ballet, Ballet British Columbia, The Royal Swedish Ballet and Nederlands Dans Theater in the remount of Pite’s repertory. Based in the Netherlands, Eric regularly conducts improvisation workshops and has recently collaborated with Peter Bingham and Christian Burns on several improvisation research projects. TOM KOCH (US / NL) Tom Koch is an expert Alexander Technique teacher who has worked with dancers across Europe and America, including extensively with dancers from the Forsythe Company and Nederlands Dans Theater. He helped inspire and guide Anouk van Dijk as she developed Counter Technique, and teaches for her “One Body – One Career” intensive programs for dancers. Tom has also served in the roles of dramaturge and movement consultant for Ballet Frankfurt, Ivana Muller and Michael Schumacher among others. Sign up for your choice of Morning, Mid-day and Afternoon Intensives with Kirstie Simson, Faye Driscoll, Eric Beauchesne, Michael Schumacher, Tom Koch or Neige Christenson. Includes unlimited drop-ins, performances and jams. 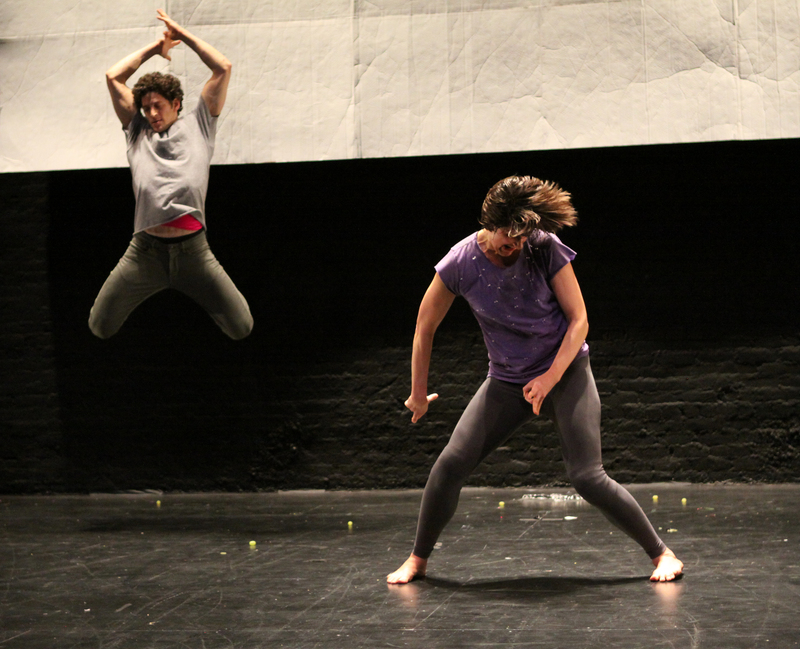 Maximum Velocity is our world-class summer program bringing together Strictly Seattle and the international Seattle Festival of Dance Improvisation, July 6 – Aug 3, 2014. Register for Maximum Velocity (both Strictly Seattle + SFDI) and receive a 15% discount. Includes the Professional/Advanced, Intermediate or Beginning Strictly Seattle Intensive and The Entire SFDI 2014 Festival Package. Seven of the all-star SFDI faculty have seven minutes to speak to what currently drives their research and practice. Immediately following the lighting talks, the community joins in on the conversation. With Michael Schumacher, Kirstie Simson, Eric Beauchesne, Faye Driscoll, Neige Christenson, Tom Koch and Darrell Jones. The community is enthusiastically invited to observe Michael Schumacher’s site-specific intensive as participants continue to explore the dynamics of dance improvisation and composition at a unique location in the city. SFDI 2014 Jams are curated by Louis Gervais. Housing with other SFDI students is available in nearby dormitories. Just a quick short walk from Velocity studios at Cornish College of the Arts Residence Halls! SFDI Housing Application 2014 STILL NEED HOUSING? YOU STILL HAVE A CHANCE. $60 LATE FEE APPLIES AFTER JUNE 23. *$60 non-refundable deposit is built into all SFDI prices. This deposit serves as the place holder within the program. All paid tuition (not including the $60 deposit) and housing fees will be refunded in full only if written notice of withdrawal is received on or before 60 days prior to the beginning of the intensive (May 27, 2014). Between May 27, 2014 and the July 27, 2014 all paid tuition (not including the $60 deposit) will be refunded for medical reasons only. A signed note from a doctor is required. Dorm fees will be refunded in full. After the program begins, July 27, 2014, tuition and housing fees will not be refunded for any reason. Have questions? Need more info? Contact Kim Lusk, Programming Coordinator. In 2011, after 18 successful years, Dance Art Group (DAG) handed the festival over to Velocity Dance Center. View the DAG press release here. To learn more about SFDI click here. SFDI 2014 was curated by Tonya Lockyer, Michael Schumacher, Louis Gervais and Alia Swersky with generous input from the community. The 21th Annual Seattle Festival of Dance Improvisation is made possible though the generous support of the National Endowment for the Arts, 4Culture, ArtsFund, The Seattle Office of Arts and Culture and The Paul G. Allen Family Foundation.